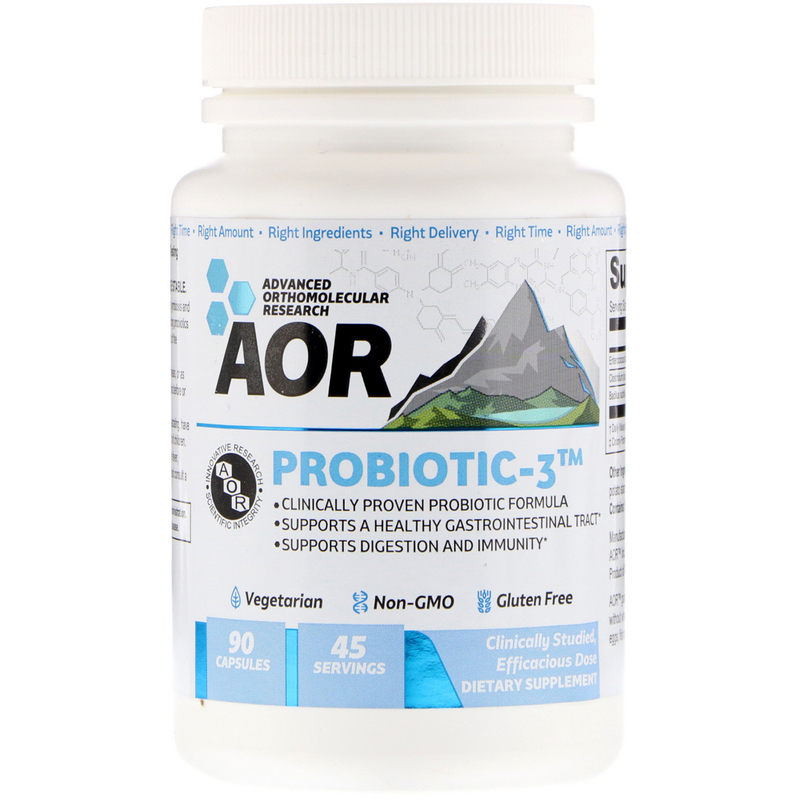 Discussion: The enterobacteria contained in ProBiotic-3 act in symbiosis and support a healthy intestinal flora. 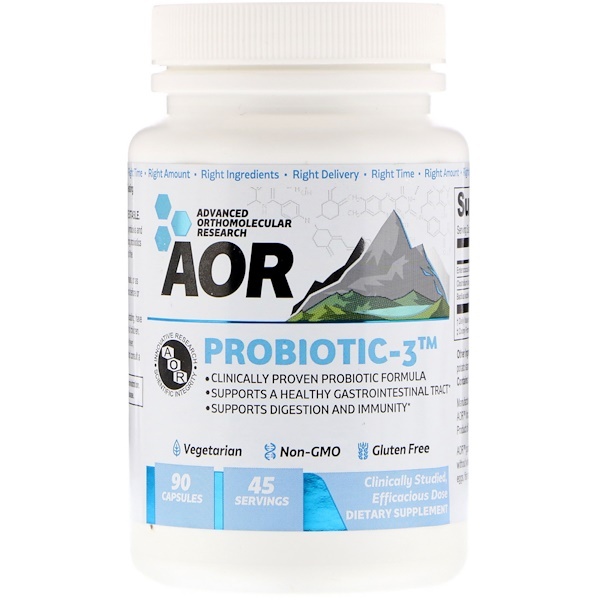 Lactic acid and butyric acid-producing probiotics inhibit the growth of pathogenic bacteria while promoting the growth of the beneficial Bifidobacterium strain. 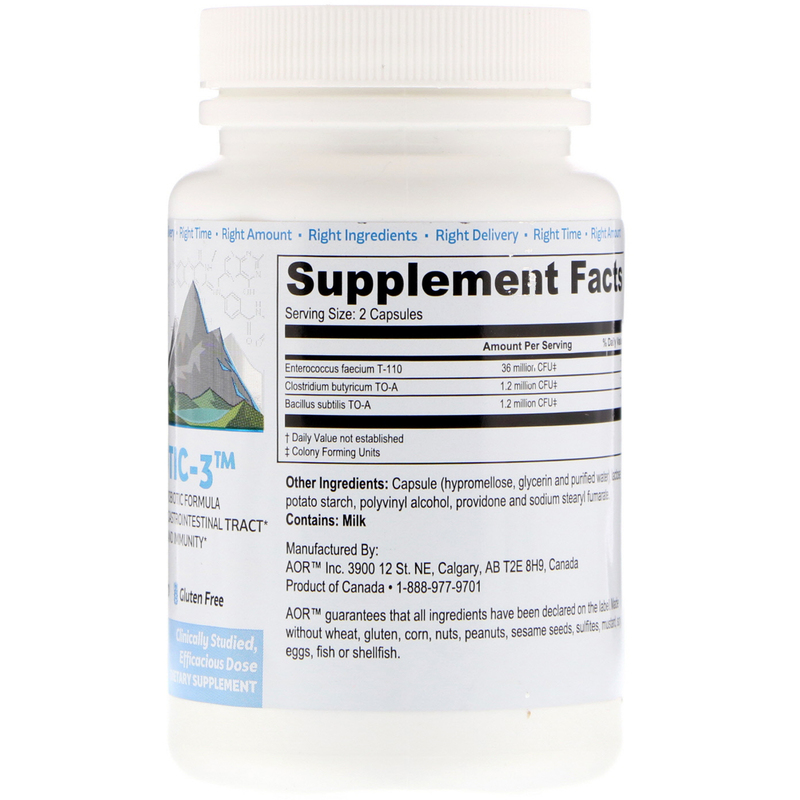 Take 2 capsules per day in divided doses between meals, or as directed by a qualified health care practitioner. Take at least 2-3 hours before or after taking antibiotics. Capsule (hypromellose, glycerin and purified water), lactose, potato starch, polyvinyl alcohol, providone and sodium stearyl fumarate. Made without wheat, gluten, corn, nuts, peanuts, sesame seeds, sulfites, mustard, soy, eggs, fish or shellfish. Store in a cool, dry place. Room temperature stable. Consult a health care practitioner prior to use if you have a fever, vomiting, bloody diarrhea, severe abdominal pain, discontinue use and consult a health care practitioner.